Make Book Reviews FUN again! 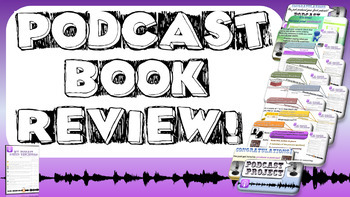 Try Podcast Projects! 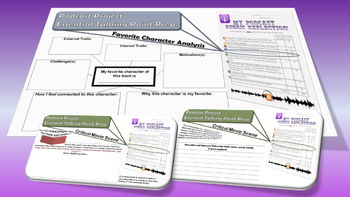 Save yourself hours by simply guiding students through a step-by-step prep PowerPoint and legit rubric. 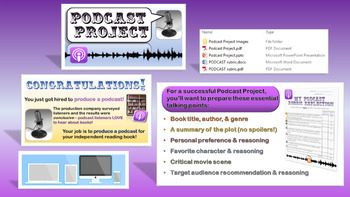 Students appreciate clear & concise expectations - especially when paired with a fun, engaging podcast product! Check out the preview and see for yourself! Book Reviews don't have to be a chore! Embrace those creatives and have fun while incorporating those new Texas ELAR Speaking TEKS/ELPS! Enjoy easy-to-use multiple formats: PPT, MS Word, & PDF!